Dubai: if you’re looking for a tropical retreat, look no farther than the Philippines. The number of Middle East tourists visiting the Philippines has been on the rise. In 2016, the Philippines received a total of 83,546 tourists from the region, posting a 9.69 per cent growth 2015. Tourists from Saudi Arabia and UAE, the two largest markets out of the region for the Philippines, reached 50,884 and 16,881 respectively. Cebu is known for its annual street festival called Sinulog and is home to a number of beautiful beaches both in the north and south of the city centre. Its commercial area boasts of several shopping malls, hotels, bars and restaurants. It has a 24-hectare mixed use business park called Cebu IT Park, where outsourcing companies are based at. 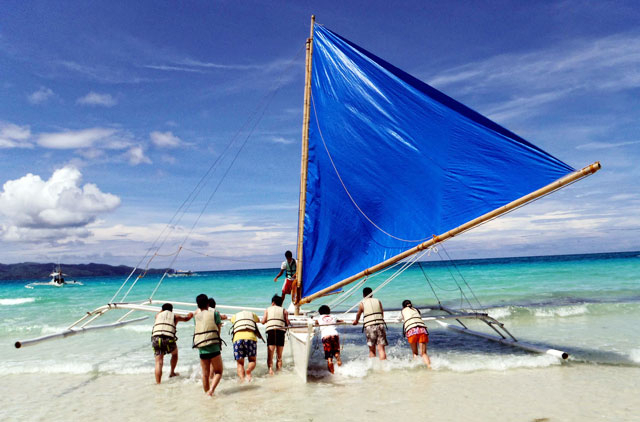 If lounging by the beach or visiting Cebu's heritage sites and city centre don't appeal so much, visitors can head south to the town called Oslob and swim with the whale sharks. Cebu is also a good jump-off point for a quick tour in the neighbouring Visayan island of Bohol, home of the famed Chocolate Hills. Palawan is an archipelago of nearly 2,000 islands, offering guests an unforgettable holiday in paradise. Travellers can explore the various smaller islands incorporating secret lagoons and caves, snorkelling, kayaking and trekking. To the west, Palawan’s natural wonder is one of the longest underground rivers in the world, travelling five miles through a subterranean cave system. It is an UNESCO World Heritage site, which travellers can explore and discover via guided boat tours, where they can see karsts and natural rock limestone formations. For wildlife lovers, the Calauit Game Reserve and Wildlife Sanctuary are popular, and Rasa Island and Tubbataha Reefs are known to offer some of the best diving spots in the world.